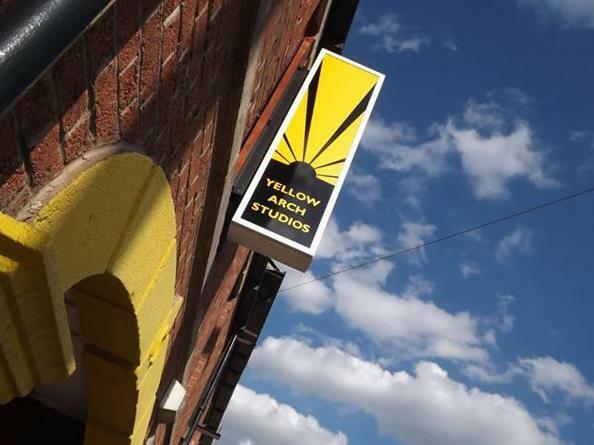 Since opening, Yellow Arch has been operating successfully as a recording studio, equipment hire, teaching studio, band rehearsal facility and occasional party venue. It has established a great reputation as a key player in the music industry, both in Sheffield and further afield. Most famously known as the birthplace of Arctic Monkeys, the studio has produced albums by a diverse number of artists including Richard Hawley, Kylie Minogue, Jarvis Cocker and Duane Eddy, and has a strong working relationship with the BBC, EMI Records, Sony, Universal, Warners and many others. It is one of the main ticketed venues for Sheffield Tramlines festival and also listed in The Guardian as one of the top five places for a night out. More recently we have secured licences to branch out and opened our doors as a full­ time venue on Saturday February 7th 2015 - everything, from gigs, open mics and raves to private functions, such as birthdays, weddings and even service away days and corporate functions. There is a cafe bar area, main venue space and a secluded courtyard with heating and seating which could easily fit a street food van. Yellow Arch provides a facility for hundreds of local bands to meet, rehearse and record whilst offering placements and training to students, and supports and assists local community projects and charities. With a bar license and the operational facilities available, we are one of the only buildings in Europe where people can write, rehearse, record, perform and film, all finished off with a pint, under the same roof!